$24 - A perfect poncho is just what she needs for this fall 2017 school season. This new piece is from designer Truly Me. We love the light brown blending with stark black. 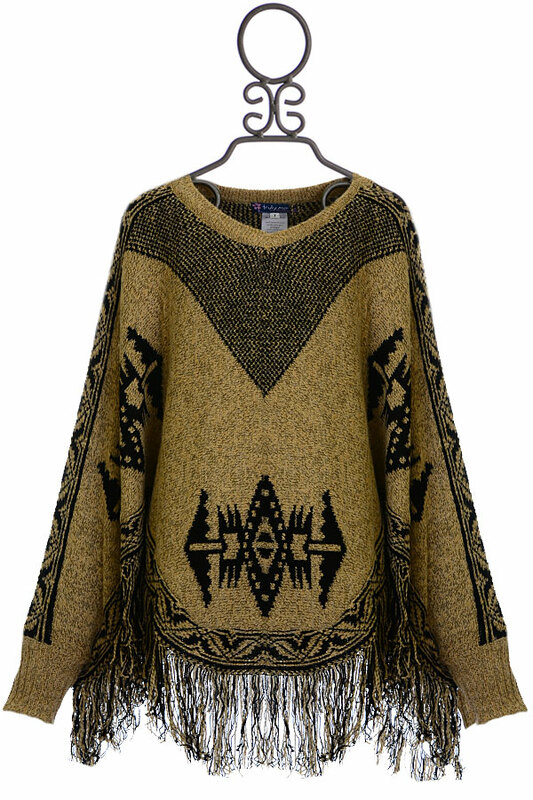 The Navaho inspired print covers the poncho. The comfortable knit fabric and long sleeves keep her warm. The hem is dressed with long fringe. 100% Acrylic. Hand Wash Cold Inside Out, Dry Flat.